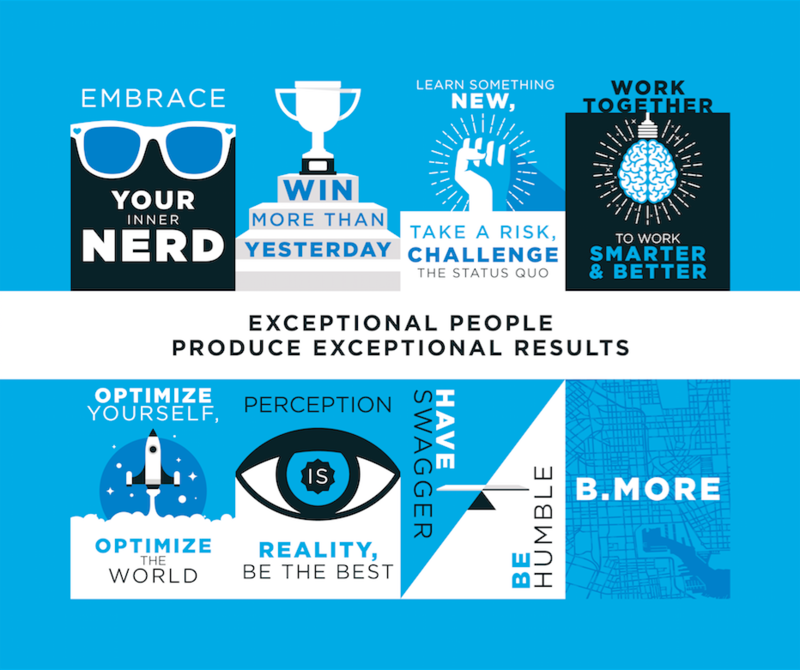 Our “Global Offices” blog series features a Q&A each month with one of Exponential’s offices across the globe. 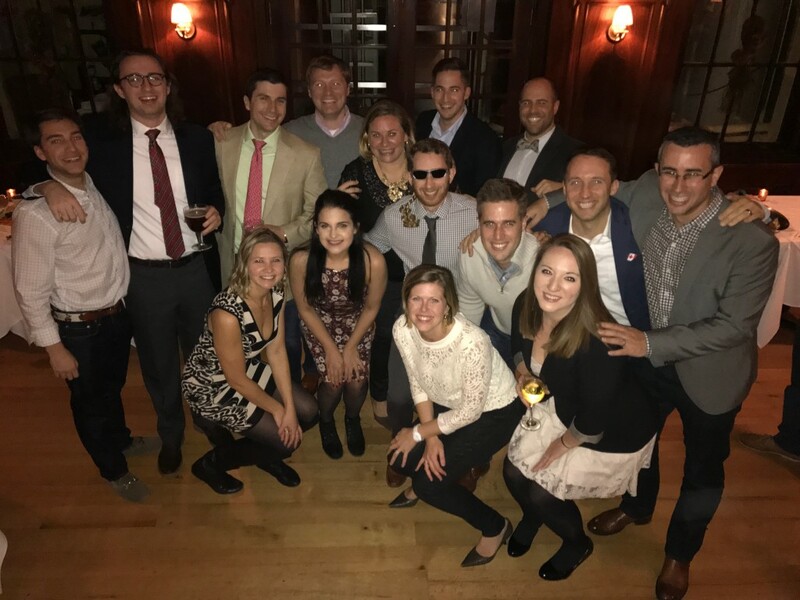 For the month of May, we interviewed the Baltimore team to learn about their favorite “Charm City” hangouts, office traditions, and the values that guide their work. Q: How long has this office been around/what year did it open? The first two employees started at Exponential Baltimore in March 2010 with various city cafés serving as the first working space. Three months later, we settled into a loft in an 1864-renovated Foundry Building, with exposed brick and wooden timber frames. We are 1 mile from Ft. McHenry, which is where Francis Scott Key was inspired to write the National Anthem, a 15-minute walk from the Inner Harbor, and a 20-minute walk to both the Orioles Camden Yards Stadium and Ravens M&T Stadium. We are about 45 miles north of Washington, DC, for those not too familiar with the East Coast. Q: How many Exponential employees are at this office? Which departments are represented and how do the job functions relate to clients? We have 15 people in Baltimore: 11 from the Performance Strategy Team and 4 from the Publisher team. We are expecting three new hires in summer, and will officially be out of desk space! Q: What are some favorite activities the office enjoys doing together? Q: What does your office love most about Baltimore? Any favorite local spots? Charm City, it’s all in the name! Our office loves the Baltimore area; in fact, many of us live within 10 miles of the office. Baltimore has quaint neighborhoods, but still maintains a city vibe, making it a great place to live! (No, it’s not what you see in “The Wire”…) There are a few neighborhoods that are popular dining spots or weekend hangouts. Some of our favorite spots include No Way Jose’s (for Mexican food cravings), Little Havana’s (for mojitos on the water), Southside Diner (a lunch favorite) and Kumari for the best Indian buffet in Baltimore! We are a pretty active office, taking advantage of everything from nearby camping and hiking spots to farmer’s markets and festivals around the city on weekends. 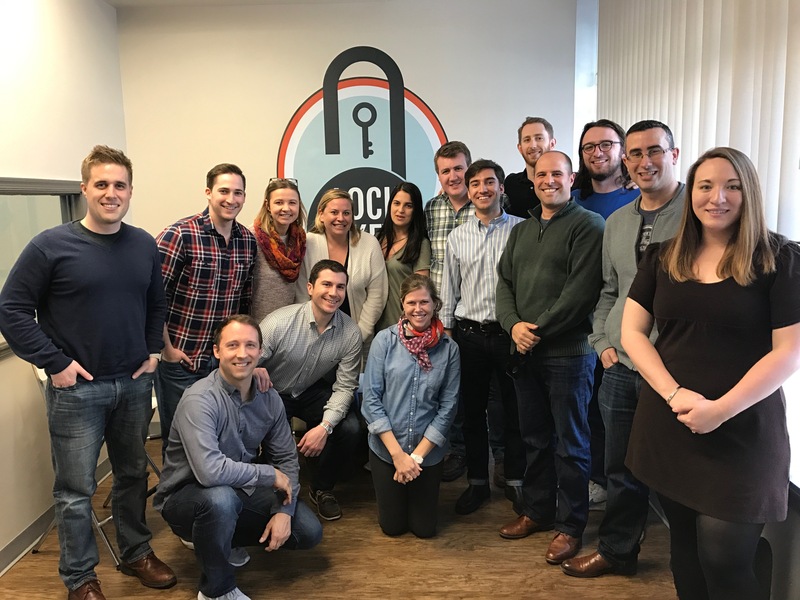 This year, as an office, we met to discuss “Codifying our Culture” and identified values that genuinely spoke to us. Q: What are some interesting traditions in the Baltimore office? We have many traditions in the Baltimore office to reinforce our values, including: our annual Oktoberfest party and Spring picnic; a bi-monthly “Baltimore Breakfast Bites” where we discuss an industry topic over breakfast; weekly nomination of the Differentiator Belt, where we determine one office member who truly went above and beyond that week, and of course, daily Jeopardy trivia. We end the week with a standing “Put it on the Board” session, where we huddle to discuss quarterly forecasts – usually with a beer in hand. We love to celebrate wins – we have a “mini gong”, a large gong, and a Piñata – which each get to be hit depending on the size of the win. 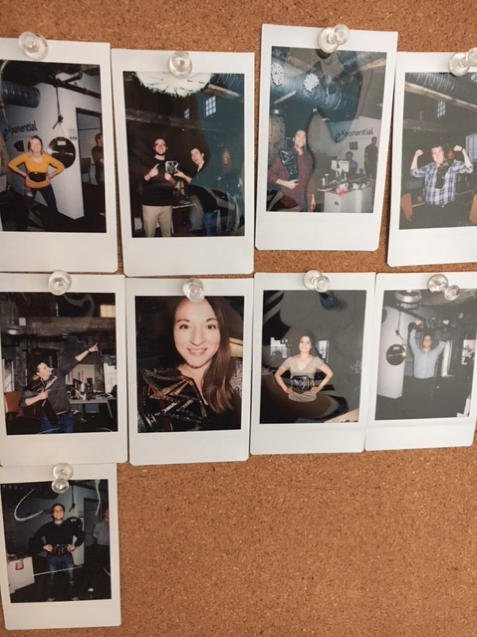 We always take a picture and hang it on our “Wall of Fame”. Many thanks to the Baltimore office!